One of the reasons so many police officers go on to become writers and even standup comics is that they get so much excellent material from a career in law enforcement. You’d never know it from the nightly news but there’s actually a lot of stuff that cops see on the job that’s downright funny. That’s what made Barney Miller, considered to be the greatest cop show ever by many pre-internet types, such a funny sit-com. It was about the lighter side of the cops and the people they deal in their work. Brooklyn Nine-Nine takes the same approach. But that’s basically the whole idea of television. If it weren’t there would not be fifteen shows about ghosts and Big Foot pulling major ratings. 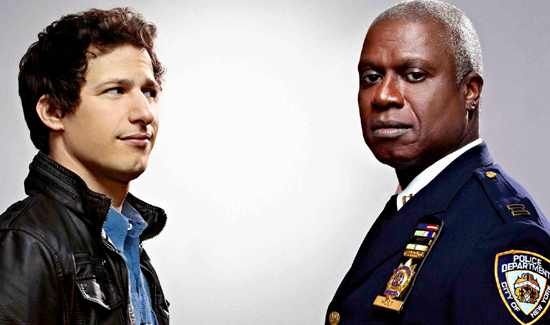 That might be why Brooklyn Nine-Nine is getting steady ratings and is fast becoming one of the stronger offerings on Fox’s Sunday night lineup. Love it, like it or hate it, it looks like the series is going to be around for a while. In TV land, that means maybe one more season- if you’re lucky.